Hey everyone! Today is the last day of my holiday, it's weird writing this before my holiday has even begun but hopefully it's been a good week, both for me and for my blog! 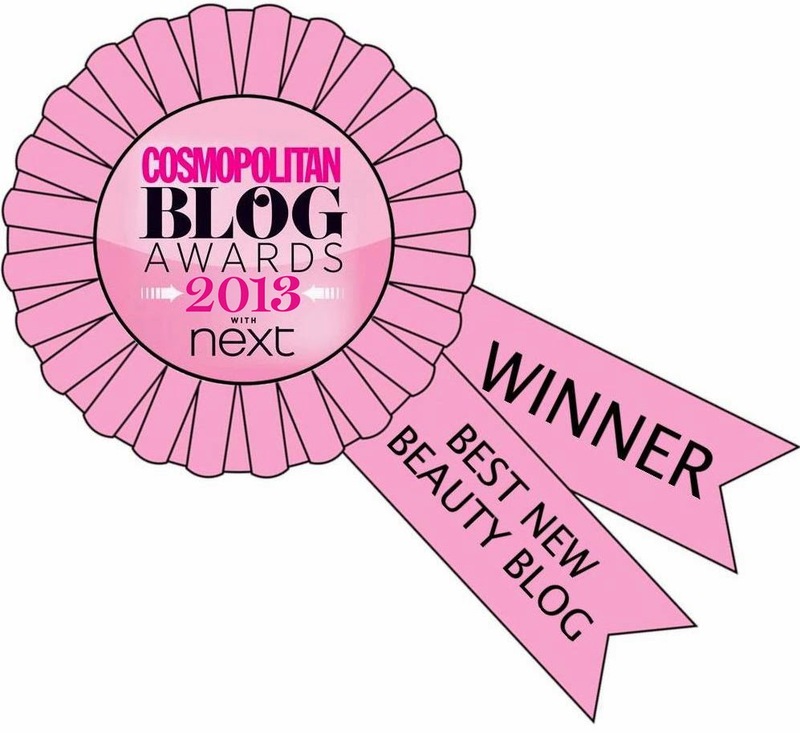 I've had a couple of great guest posts, and also posted a bit of nail art along the way, hopefully you've enjoyed it! 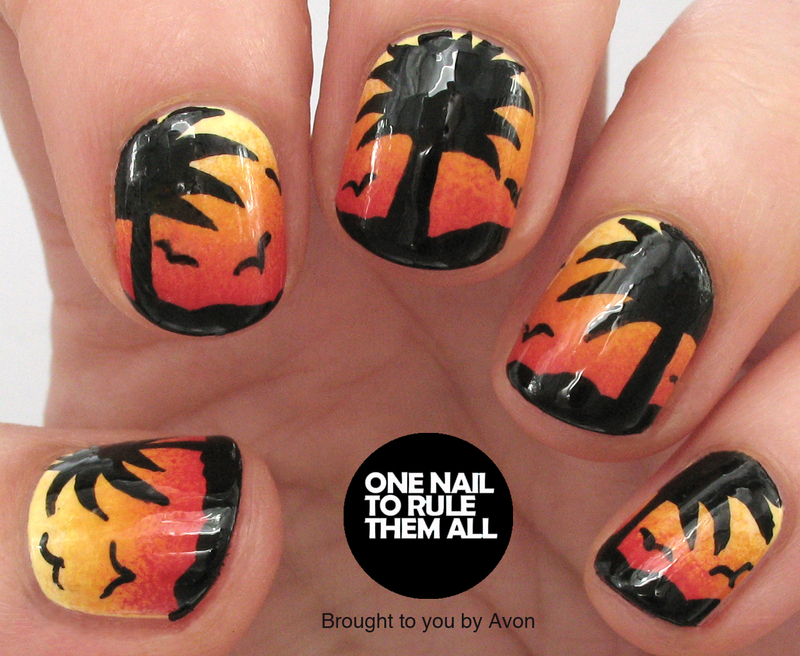 To tide you over until I'm properly back here are some simple sunset nails I did for Avon, they're nothing special and the palm trees are a bit wonky, but I think the crooked look isn't TOO bad. Whoa!I definitely need to start experimenting with my polishes!Love the colors! 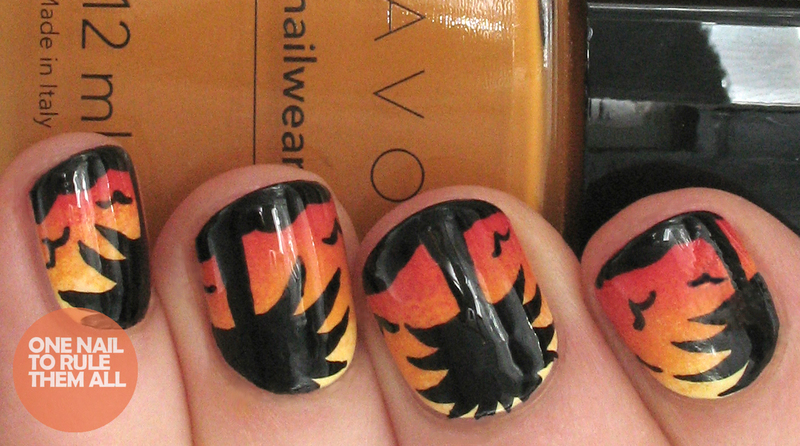 This is a beautiful end of summer manicure with the sunset. I love the colors and the palm trees are great. Nothing special? A bit wonky? They're fantastic!! They look perfect to me!